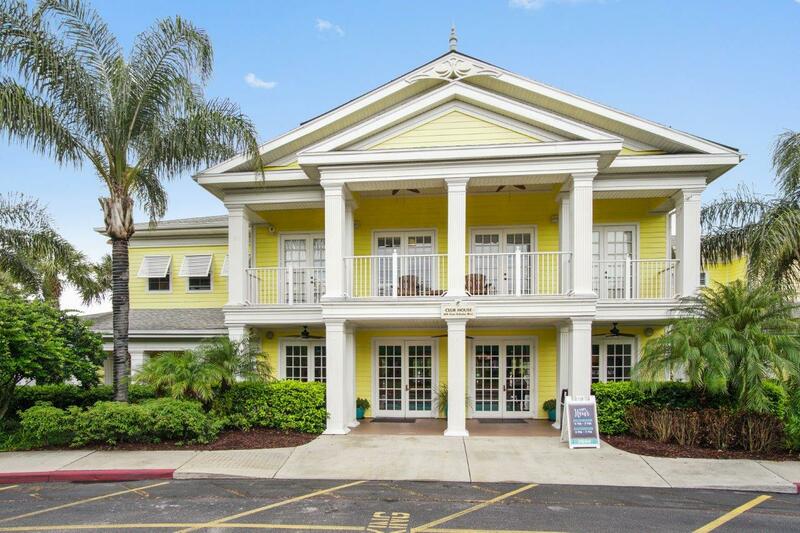 The Bahama Bay Resort is Orlando's new, exclusive, secluded and tranquil Caribbean-style Condo resort sitting right on the banks of the picturesque Lake Davenport. The Resort is laid out over 70-acre spread of gardens, lawns, lagoons and fountains, making it a truly beautiful place to stay. 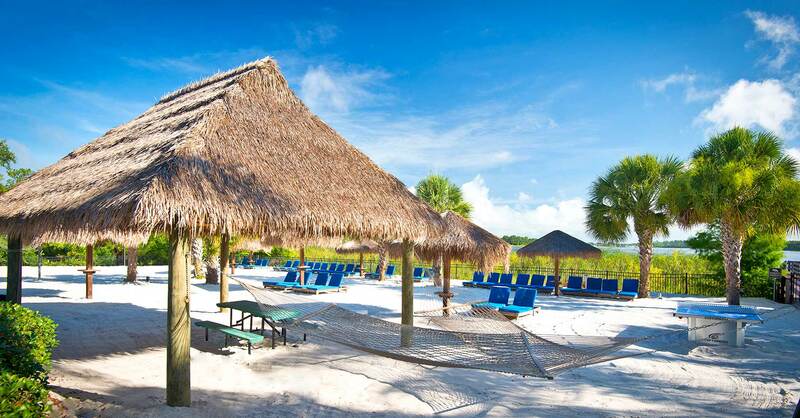 The Bahama Bay Resort near Orlando looks and feels like a small, friendly village. The complex offers superior facilities in a Caribbean style setting, a Recreation Centre and Club House, the use of four outdoor heated pools with heated jacuzzis, children's pool and play area, a sandy beach and a variety of sport facilities. Four Heated Swimming Pools & In-Ground Spas Bahama Bay has four free-form swimming pools, and heated in-ground spas, all featuring sun loungers, lush landscaping, shaded areas, and either resort or lake views. Swimming pools are heated seasonally to ensure a comfortable swim when the weather turns cool. Children's Pool & Splash Pad. 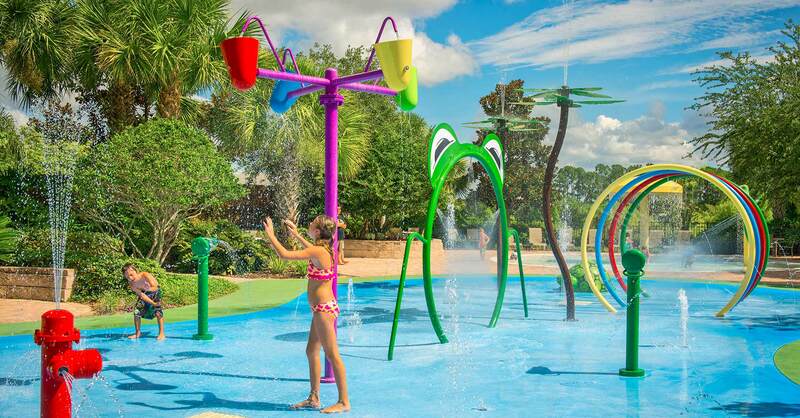 Bahama Bay also boasts a children’s wading pool...and kids can enjoy hours of entertainment at the recently updated Splash Pad! Tradewinds Restaurant & Bar Beautiful lake, beach, and pool views greet guests from the easy, breezy Tradewinds Restaurant & Bar. 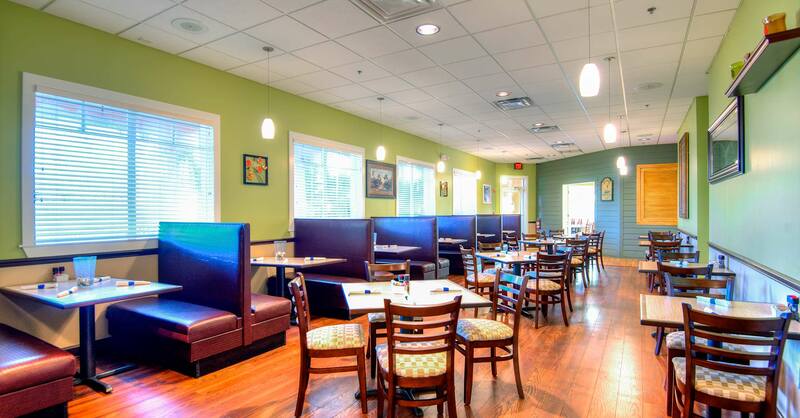 A great place for food, drinks, and fun, Tradewinds features pub-style activities including pool tables, darts, and games. Mambo’s Poolside Bar & Grille Mambo’s offers a variety of delicious snacks and pizza, along with full bar service, casual atmosphere overlooking the Clubhouse Pool. Room Service & 24hour Checkin Desk Eleuthera Spa & Salon Indulge at the Resort’s Eleuthera Spa & Salon, offering a wide range of relaxation and beauty treatments like massage, manicures, pedicures, and hair styling. Fitness Centre - Guests can stay in shape in the air-conditioned Fitness Centre, which offers an array of cardiovascular and strength training equipment. Marketplace Gift Shop & Grocery Snacks, drinks, souvenirs, newspapers and much more are available in the Resort’s Marketplace Gift Shop & Grocery, located in the Clubhouse. Free Wi-Fi and Internet Café .For the convenience of guests, Bahama Bay has free Wi-Fi in each condo unit, the Clubhouse and Tradewinds buildings. The Resort also offers an Internet Café for guests traveling without computers, and Internet Café cards may be purchased in the Clubhouse Lobby for a nominal fee. Fishing Dock Bahama Bay Resort & Spa has a full-sized fishing dock on Lake Davenport, where guests can enjoy fishing or simply take in the calm waters and beautiful natural surroundings. The fishing dock is gated for the comfort and safety of guests. 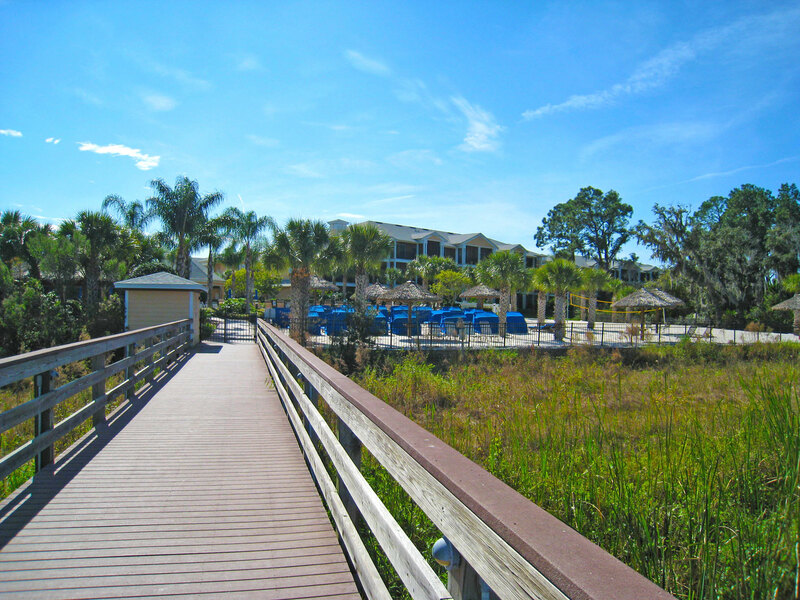 Nature Trails Beautiful nature trails throughout the resort allow guests to enjoy lakeside views, natural flora and fauna, and the resort’s lush tropical landscaping and water features. Theme Park & Shopping Transportation Transportation to and from theme parks, shopping malls, and area attractions can easily be arranged at an additional charge. Taxis, shuttle buses, and limousines are readily available to meet all local transportation needs.